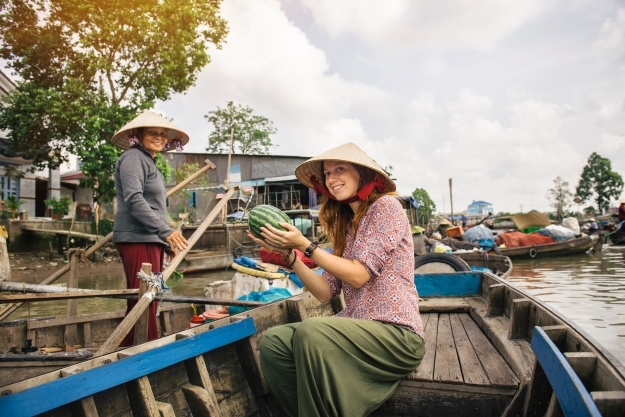 Asia is the continent that is the most culturally different to what we are used to, so it’s not really a surprise that there are a load of myths floating around about travelling there. We think that Asia is the most wonderful place to explore and it’s these differences that make it an even better experience, not a scary one! As Wendy Wu Tours are the Asia experts, let us address a few of the biggest myths we hear about Asia and put worried minds at ease. For many people, visiting Asia is a lot about the weather. Glorious sunshine and endless blue skies are the things travel daydreams are made of, so it’s easy to see why people prefer to travel to Asia outside of the monsoon season. But here’s the thing, you most certainly can visit Asia during the rainy season, and its totally fine! It doesn’t rain constantly, usually it’s a lovely heavy downpour or thunderstorm in the late afternoon which cools everything down. Yes, you might get a few overcast days as well, but you do also get blue skies and sunshine. And when it does rain, it gives you time to relax at your hotel, explore a museum or hole up in a little café, restaurant or bar to refresh. The other big thing is that there are a lot less tourists about and because of this fact, things like hotels get cheaper. Another great thing? The rain can bring out the best of nature – we’re talking full-on green paddy fields, verdant forest, big beautiful blooms and incredible clouds. Take holidays to Cambodia in the rainy season as an example – visiting Angkor at this time means the moats and reflecting pools are full and the surrounding rainforest lush – it’s seeing the complex at its best. 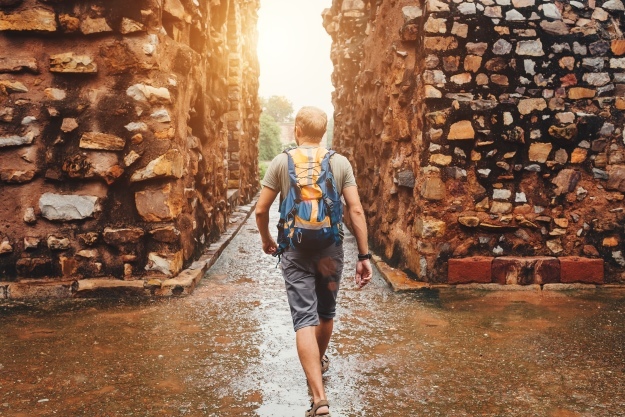 Admittedly, it is harder to get off the beaten track during the rainy season due to flooding and road conditions, but if you’re sticking to a well-worn trail, you will be well rewarded. Yes, it’s true that in Asia they speak a lot of different languages that are not at all similar to English, but come on, most of us have been to foreign countries and muddled through before. Tourism is such a big industry in much of Asia that most of the people that you will come into contact with will speak some English. If not, there’s always the point, nod, giggle and gesture method which, while inelegant, works out ok. 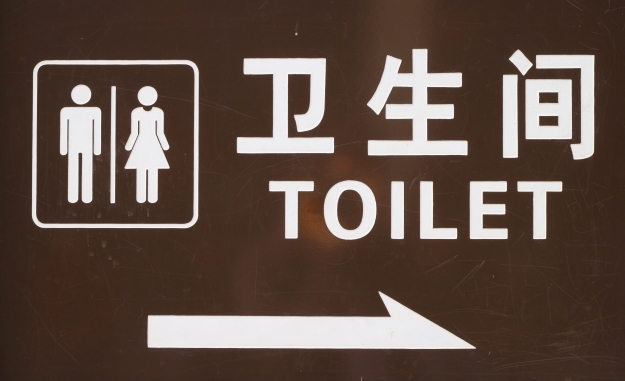 There are also apps that can help you out – Google Translate, for example, lets you take pictures of signs, menus etc and will translate it for you. You could even learn a few helpful phrases before you travel. Oh, the humble squat toilet, a daunting prospect for many a traveller. The good news is that in many places now you get the throne that we know and love in various states of cleanliness and repair, unless you are in Japan, where the toilets are more technically advanced than your average car. Sometimes they don’t flush so you have to sluice them with a bucket of water and you can’t put toilet paper down them, but if you’ve got to go well, you know. If you do find yourself having to use a squattie, it’s ok, nothing bad will happen, we promise. Think of the fact that they are more hygienic, take a deep breath and go for it. Whether the toilet is sit or squat, don’t expect toilet paper or soap to be provided, so carry tissues and hand sanitiser around with you. If you are really worried about this, just have a read about cultural faux pas before you travel (in fact, we’ve already done a blog on it!) and try your utmost to not commit any. But unless it’s something really bad, the locals are lovely, friendly people and they will let it pass – they are aware that you may not know their social norms and quirks. Obviously not being obnoxious and showing some awareness of what does cause offense is very much appreciated, and doing things like dressing conservatively when visiting a temple, are easy ways to show signs of respect and consideration. 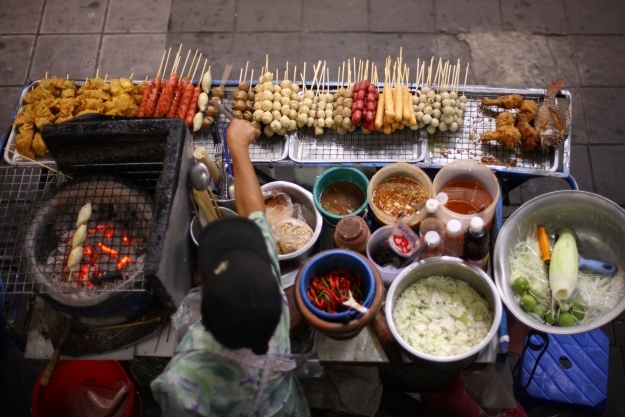 Yes, in some cases it probably can give you a case of the tummy wobbles, but across most of Asia, the street food is some of the best things that you’ll eat. Just because it’s a restaurant, it doesn’t automatically mean that the kitchen will be more hygienic or the food fresher, so why avoid the street stalls? Just follow these few golden rules on eating the street and you’ll be laughing. If you come upon on stall that is packed with locals eating, it’s got to be a good one, so get yourself in that queue! If the food is being cooked fresh in front of you and is delivered piping hot, you’re onto a winner, so tuck in. Make sure there is nothing that could have been rinsed with water or made with water, such as salads and fruit shakes, as you can’t be sure where that water has come from. With fruit, it’s best to stick with ones that you need to peel yourself. If you are worried about bad meat, consider becoming a vegetarian whilst on your street food adventures, you’ll find that stuff just as delicious. Have a look at the people running the stall, do they look like they are practicing good hygiene? A lot of this stuff is just common sense, if it looks dodgy, has been sitting out all day or is covered in flies, move along! It’s too dangerous and you get robbed and scammed! Well, you can get robbed and scammed anywhere can’t you? Much of Asia is considered a very safe place to travel but just because you are on holiday, it doesn’t mean you should get complacent when it comes to things like your own safety. Once again, it’s a case of using your common sense. Make sure you have a read up on any common scams that happen in the place you are travelling and then avoid them – that doesn’t mean that you should suspect everyone of trying to scam you. Keep your possessions safe and don’t flash around your cash, expensive camera and mobile phone, that’s just an invitation for an opportunist to seize the moment, and the gadget. Apply the same rules as you would at home. Not walking around alone at night, not letting yourself be taken off by a stranger and so on – if a situation seems dodgy, remove yourself from it. Book an escorted tour to Asia with the UK’s leading Asia Experts, Wendy Wu Tours, who will help you navigate through the cultural differences whilst introducing you to all the wonders too. Our fully inclusive tours visit all the major sights of your chosen destination for an unforgettable holiday. General adventure, culture, tourism, travel, wendy wu tours. permalink.